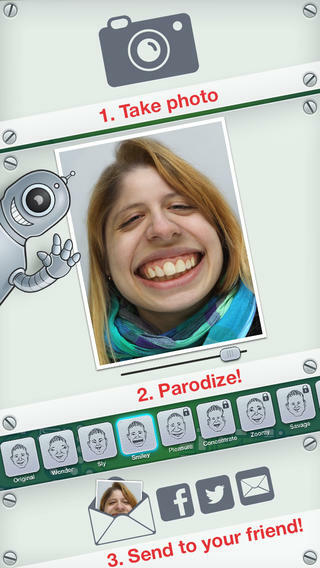 Parodizer iPhone Game Review: Hilarious Photos! 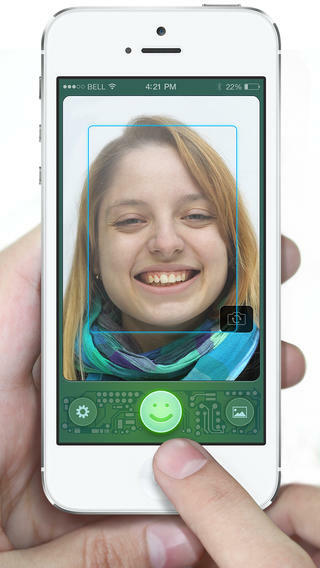 Parodizer iPhone App Review: Hilarious Photos! Parodizer is an iPhone game developed by Ribaba. 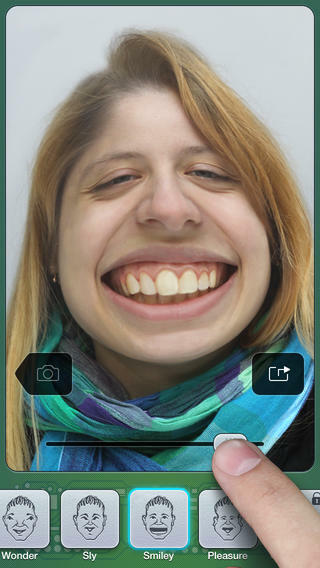 This amusing app lets you take photos of yourself or your friends, and then distort them for some hilarious results! When you first open the app you’ll be presented with a short set of instructions on how to use Parodizer. It’s as easy as choosing your subject/target and making sure their face is front-on to the camera. Then snap the photo to move on to the ‘editing’. Once you have the photo, you can add a number of distorting effects – including ‘Smiley’ and ‘Kitten-ish’, but you’re limited to these two in the free version of the app. There are nine more visual effect available for download, but each of these has to be purchased separately for $0.99. To use an effect, there is a slider which allows you to exaggerate the photo filter until you’re happy with the result. 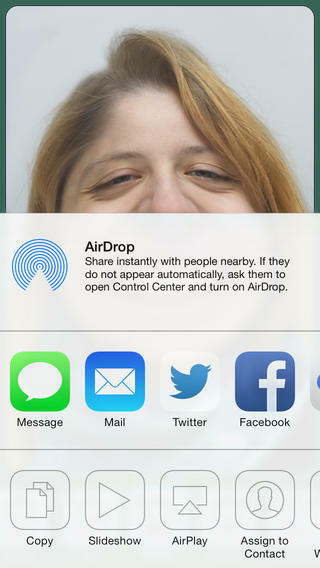 Once you’re ready, you can click the share button to save the image or send the photo to friends via email, facebook or twitter. Parodizer has a slick and intuitive interface and the photo effects are fun to use, but in it’s free form the app is very limited. There are a lot of extra effects to choose from however, and if you’re happy to purchase them you’ll get a lot more functionality from the app. Parodizerrequires iOS 6.0 or later. Compatible with iPhone, iPad, and iPod touch. This app is optimized for iPhone 5. Follow Tapscape for reviews of all the best iPhone apps.